Analysing Data: A Holy Grail in the pursuit of return customers? 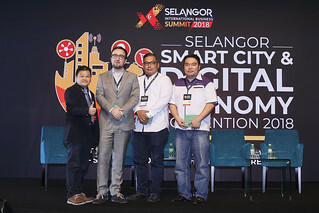 On the 27th of March, 2018, the Selangor Information Technology and E-Commerce Council (SITEC) held its E-Commerce Class on Data Analysis, with a solid 100 participants turning up at the Selangor Digital Creative Centre (SDCC) to attend the class. Coach Sunny Ooi, Co-Founder and Managing Director of ClickAsia Malaysia and Singapore, started the class with a short introduction to his company, then moved to the importance of data analytics. Noted as the means through which gathered data can be studied and applied, Ooi stated that data analytics was important for four primary reasons. “Knowledge is power. 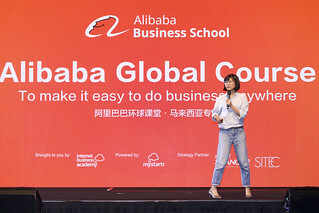 With the knowledge you get from analysing the gathered data, you are empowered to make informed decisions to improve and grow your business,” said Ooi. Analysing the data also provides insights into customer behaviour, which in turn allows merchants to be better able to cater to their target market segment. In turn, the data can also help customers to make the right decision, while driving business impacts through the cumulative informed decisions made by the merchant. As to how Big Data Analytics can help an e-Commerce business, Ooi noted that it can help merchants to personalise offerings and price products dynamically to cater to customers, while also offering an improved customer service experience. At the same time, merchants will be able to analyse data to make logical predictions, such as how spending will likely increase before festivals, and be able to manage and adjust their supply chain according to the predicted increases and slumps in demand for their offerings. The gathered data can also play a role in fraud prevention, while allowing insights into any new offerings that the merchant might be considering to include as part of their business. Ooi then talked about some tools, such as Google Analytics and Google AdWords, as well as best practices for analysing data. 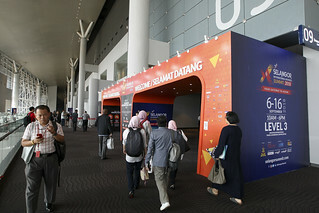 He advised attendees to pay attention to gathered data to be better able to manage the Customer Life Cycle, as well as to provide proper customer service and support. “People buy because of our product or brand, but most often leave due to poor customer service,” reminded Ooi. Ooi then discussed the importance of Big Data as a key enabler of the omnichannel retail model, taking the examples of Hema seafood stores in China, as well as Amazon Go stores in the United States, as examples of how Big Data Analytics can help usher in a new age of shopping. Next, Vincent Tong, Co-Founder of Printcious.com, spoke about Google AdWords and search engine optimisation (SEO), giving a brief background on each topic. Tong noted that knowing what keywords to use, performing a competitive analysis to finalise the list of keywords, and having the proper placement for those keywords, were important factors in SEO. “The first step is to do research on what keywords you want. This is for you to discover keyword ideas, as well as to compare the search volume of the keywords. Next, a competitive analysis of the keywords you have shortlisted will help you to decide on which keywords will bring you the best returns for minimal costs. Long-tail keywords are useful here, as they are more specific and it is easier to get a high rank. It is a game of numbers, so analyse the data available and decide what keywords you want to bid for. Finally, surround your keywords with quality copywriting and content that is relevant to your product,” explained Tong. Tong also shared a tip for those who are concerned about producing content, a tip he calls the R&D method. He then noted that R&D, in this instance, stands for Rob and Duplicate, where a merchant can appropriate similar ideas from their competitors, and improvise, edit, or improve on those ideas to personalise the content. Next, Tong spoke about Google AdWords, specifically, how Printcious utilises adwords to generate, follow up on, and close leads on their website. He also spoke about calculating the return on investment (ROI) on an AdWords campaign. Tong used a simple scenario to show the audience how the cost per click, ad relevance, click-through rate, and conversion rate can affect the final ROI of the AdWords campaign. During the Q&A session, a question was posed about using marketplace data for marketing purposes. Ooi answered that the data can be used for analysis, to see patterns and behaviours, but for the purposes of calling the customer and selling directly, the answer was no. Another question posed was how an online bakery can improve sales. Ooi suggested being activity in the community, and having a differentiation strategy to be distinguishable from similar enterprises. Tong added that having a personalisation strategy would be an added bonus as well. One more question was on the utilisation of a live chat service to collect data. Ooi noted that it depends on whether the platform is a marketplace or not. He suggested integrating Facebook Messenger to a web store, and linking it to a back-end customer relationship management system.